hemp leaves on wooden background, seeds, cannabis oil extracts in jars. Cannabinoid has become the latest wellness trend all around the world as it the panacea of illnesses. CBD, as it is known in its short form is different from other forms of the cannabis plants extracts although THC and CBD are both extracted from marijuana. Having an overlook of what it actually does will help you decide whether the trend set is right or not. CBD is one of the extracts from marijuana that does not contain more than 0.3% THC. Hemp is similar in properties with CBD as it contains a minimal of THC as well. CBD or cannabidiol is an extract from the flower or buds of cannabis plant parts like marijuana or hemp. The Methods of CBD extraction decide for the quality and effectiveness of the product. Hemp and CBD both may have THC as well but its negligible quantity makes it ineffective in the whole composition. The extraction method for the purest form of CBD is The CO2 method. THC will only have its effects if CBD product is taken in large doses which is usually not the case. The cannabinoids activity in the body decides which chemical compound is the most effective. CB1 and CB2 receptors are found in the brain to which cannabinoids bind. 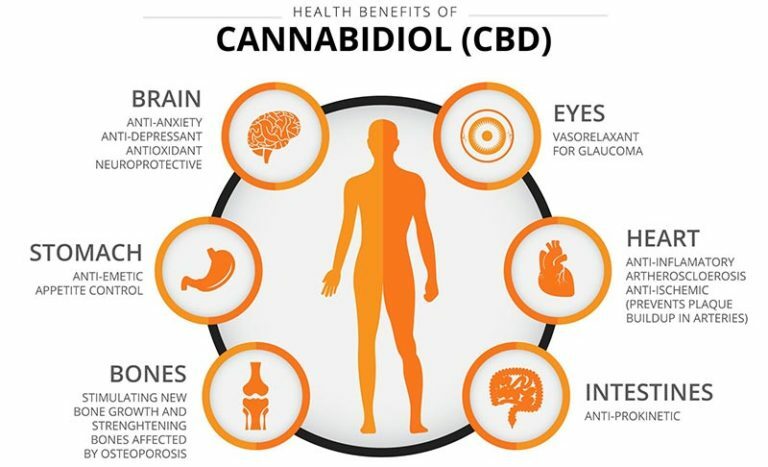 Cannabinoids are of three main types which include those that are naturally found in the human body, man made cannabinoids, and the most common ones, CBD and THC. Both the receptors in the body are important as they control mood and produce blood cells. What are the Heath Benefits of CBD? CBD is not an intoxication compound as it contains minimal THC. It keeps humans safe from the euphoric “high” and therefore it has become legal and known worldwide. Since marijuana has not been tested for human safety, it has always been under numerous confused debates. However, enough anecdotal evidence is available to support the numerous health benefits of CBD. Pain and Anxiety Reliever: CBD was known to relieve anxiety and pain.This is believed to happen because CBD changes the brain pathways which relieves symptoms related to various conditions. Skin Care: CBD is also known for treating allergies, acne and inflammation of skin. This may happen as the cannbinoid receptors in skin may have been activated through CBD. Epilepsy Treatment: Strong evidence proves the effectiveness of CBD in treating epilepsy disorders. The medication epidiolex uses CBD as the main component for treating symptoms. The evidence was so strong enough that the FDA had to approve it for medicinal uses. Epilepsy is a complex disorder with no known cure as the medicines used for its treatment come with their own problems like nausea, vomiting, fatigue, headaches, and tremors. While CBD is best known for treating epilepsy, it can be used to prevent further problems. The epileptic activity in the brain causes repetitive seizures which are otherwise difficult to cure. However, CBD has become the panacea for such severe illnesses. Metabolic Syndrome: CBD actively stimulates the metabolic rate at which fats are burnt. This ultimately causes weight loss which results in overall well-being. It takes control of all conditions related to Metabolic Syndrome including obesity, heart disease, cholesterol, and diabetes. Although the rest of the benefits are less proven by scientific research, CBD continues to relieve pain for several patients. It is better to be under a medical expert’s advice who knows CBD very well and can guide you along with its uses. CBD’s fame has made it legal across the United States which is a big achievement altogether as it continues to treat several health diseases of individuals. Can bumps on eyelids be something alarming? How is it Possible for Brain to Quickly Detect Relevant Stimuli?